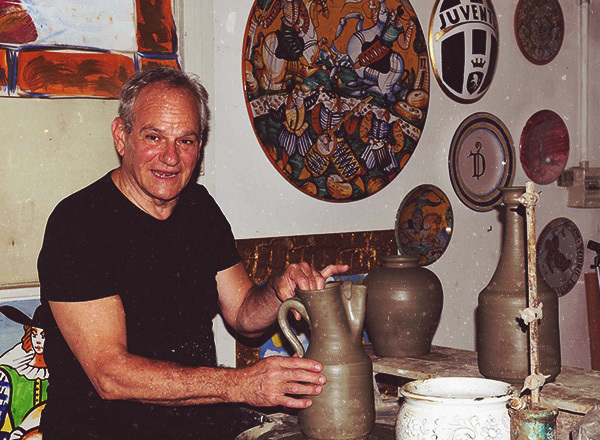 The skilled artisans of the past are few in number these days, but Tuscany is fortunate to still maintain several historical Bottegas (Artisan workshops) as a testament to days long past. Before the Industrial Revolution; before mass production became the norm, the majority of goods were produced by expert craftsmen or Artisans, who enjoyed an elevated social status. Transforming a simple piece of wood or lump of metal into a work of art, the Artisans’ work reflected their ingenuity, creativity and originality. They shaped the aesthetics of their times with their own personal values and ideas, all while providing exclusive pieces of beauty that mirrored their own talent and personalities. Basket Weavers: Basket weaving may be one of the oldest crafts in the world. The origins of this noble craft are difficult to determine, since in the past necessity often dictated actions and materials. In Scotland a soft rush may have been used to make a fisherman’s angling basket; in Japan woven into a tatami (traditional floor cover); while in Italy branches of Willow or wild Cane form a basket for carrying grapes and olives from the orchards. Coffee Bean Roasters: A good coffee bean depends upon many factors, such as: origins of the bean, what type of soil it was planted in, harvesting, processing method, geographical climate, altitude and characteristics of the plant strain. Every aspect must be considered in order to produce flawless beans, used to brew the perfect cappuccino or espresso. Prosciutto Making: Cooking class attendees may have occasion to visit both Parma and Modena factories in Emilia Romagna. Don’t miss out on the opportunity to learn about the production of dry-cured ham as it was done centuries ago, known around the world today as “Prosciutto.” Both Modena and Parma factories use the same method and exactly four ingredients: ham, salt, air and time. Parmigiano Reggiano: Cooking class attendees may prefer to visit Emilia Romagna’s world famous caseificios, where 80 pound wheels of Parmesan cheese are produced. Guests are always amazed at the labor involved, the time taken, the dedication and passion of the artisans for their craft. Centuries ago, monks in need of a long-lasting cheese invented the time-honored process by which Parmigiano Reggiano (King of Cheese) is made. Although much time has passed, the method remains largely the same, with only the quantities of cheese produced increasing over the years. Umberto Re Del Cappucino: In Italy coffee is never considered an afterthought, a chore. The most important person in an Italian eatery is quite possibly the coffee maker: a coffee fanatic who has spent hours perfecting a simple cup of coffee or cappuccino. The coffee maker’s role in most Italian establishments (at least until recently) often determines the success of a location. Traditionale Balsamico di Modena: Most families in Modena continue as did their ancestors the art of making the Traditionale Balsamico di Modena.